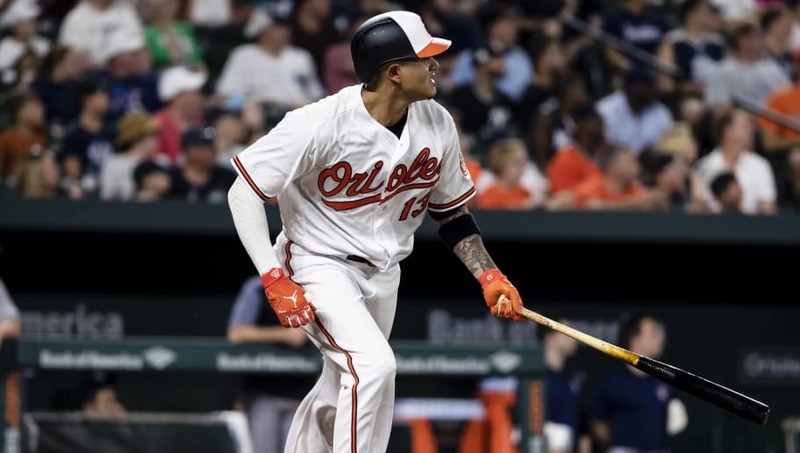 ​The ​Philadelphia Phillies are one of the teams making Baltimore Orioles shortstop Manny Machado a primary target heading into the trade deadline, and according to Ken Rosenthal of The Athletic, the Phillies have "increased their offer" for the All-Star infielder. Rosenthal does make it known the Los Angeles Dodgers and New York Yankees are still the favorites, the Milwaukee Brewers are fading in the Machado sweepstakes, and the Arizona Diamondbacks are still in the mix but are on the periphery. The Yankees certainly have the young pieces to swing a deal for Machado, but they aren't willing to put top pitching prospect ​Justus Sheffield or young outfielder Clint Frazier in a deal, making things a little more difficult. It's unclear what the Phillies are willing to move for Machado, who is a rental, but they have a bunch of young pitching in the minors like Sixto Sanchez and ​Adonis Medina who would certainly intrigue the Orioles. Philadelphia is one of the clear frontrunners this upcoming winter when Machado enters the free agent market, as a lot of the Phillies brass has ties to him, but adding him now for a stretch run with a first place team may be worth some of their high end prospects, especially if they pony up to Machado's demands in free agency.